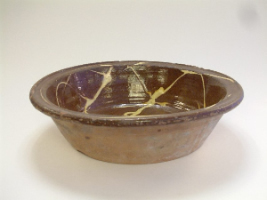 An exhibition of recent work by the ceramic artist, Simon Carroll shown in relation to work from the Aberystwyth collection. 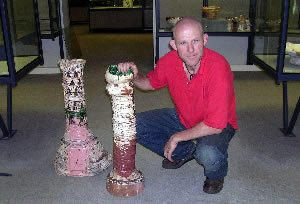 Simon Carroll demonstrated his exuberant approach to ceramics at the International Ceramics Festival in Aberystwyth in July 2003. Six months later he returned, invited to develop an exhibition of his own work in relation to the collection. This exhibition shows a body of his recent work alongside pieces from the collection from which he draws inspiration. 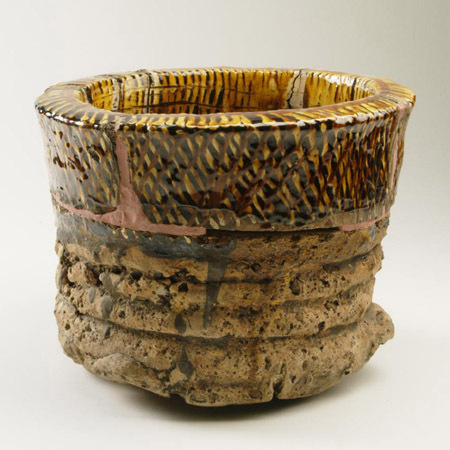 The show includes ceramics by mentors such as Wally Keeler, Takeshi Yasuda and Mick Casson as well as 19th century slipware which has been such an important source of his ideas. Simon Carroll’s work breaks all the rules. 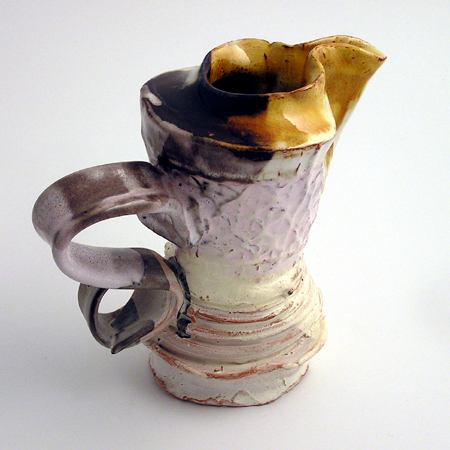 Jugs list drunkenly, handles fly, glazes drip, walls crack, and nothing fits neatly, his ceramics are wild and wicked. The forms are made from sections that are thrown, pressed in moulds to give surface patterns and assembled together, often pushed and pummelled into eccentric shapes. Inspiration comes from many sources other than ceramics, from the dramatic geometry of the ploughed field to the curl of paper peeled off wax crayons. For much of his career Simon Carroll has earned his living through manual labour – boat-building, grass-cutting and construction work. 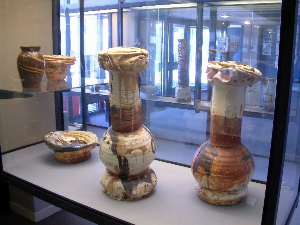 Every job has brought him new experiences of materials and techniques. He talks ecstatically about striking a chalk line in building work. His occasional teaching at the Royal National College for the Blind, Hereford has also been a source of revelation watching the uninhibited approach of people who are not tied down by the way things look. Two-dimensional work in print-making, painting and collage are another essential aspect of Simon Carroll’s practice. Mark-making of every kind fascinates him whether it is the delicate floral patterns on porcelain or the giant ‘beach drawings’ he makes, raking out the designs across the sand.